1930 census, Sioux City, Woodbury County, Iowa; roll T626-690, ED 52, page 13B, line #58, dwelling #348, family #376. 1940 census, Spokane, Spokane County, Washington; roll T627-4385, ED 41-38, page 7A, line #10, household #154. 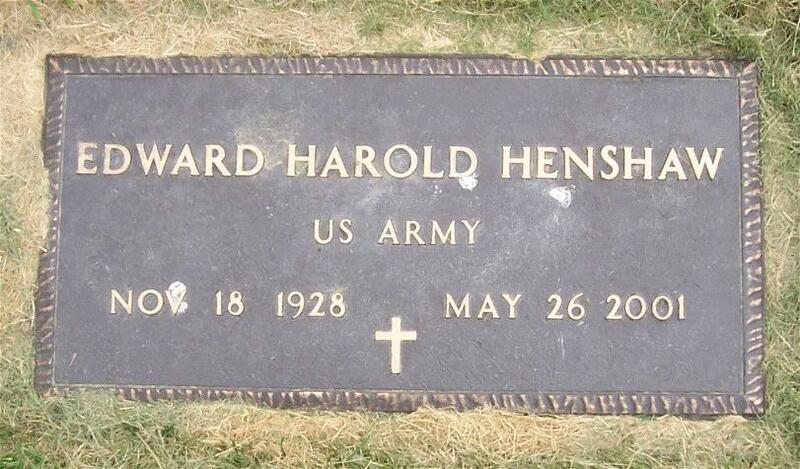 Obituary of Howard Clayton Henshaw.